If your dog isn't happy with the plate -simply take it off! The harness will still work perfectly well! I bought different sizes and colors, I love mixing the plates , for example I love thickness of straps from size M, but my puppy is too small for M size plate, so I use plate from S size, it looks so great!!! I wish I could upload some photos :))"
"We love all our Ezydog products. Everything we have purchased fits perfectly, works a treat and has lasted amazingly. Haven’t managed to wear anything out yet with our Bullmastiffs over the past 7 years. Only repurchased due to getting a new pup who needs her own Ezydog! " "I already had this product for my other dog so I already new it was great ." "Recently purchased a chest plate harness for our medium sized staffy. Our bigger staffy loves his chest plate harness so we got one for her too. They've had other harnesses before but they dug into their flesh and left abrasions. She wouldn't let us put them on in the end. So great now not to have a collar around her neck, better control and no choking if she gets excited and pulls. 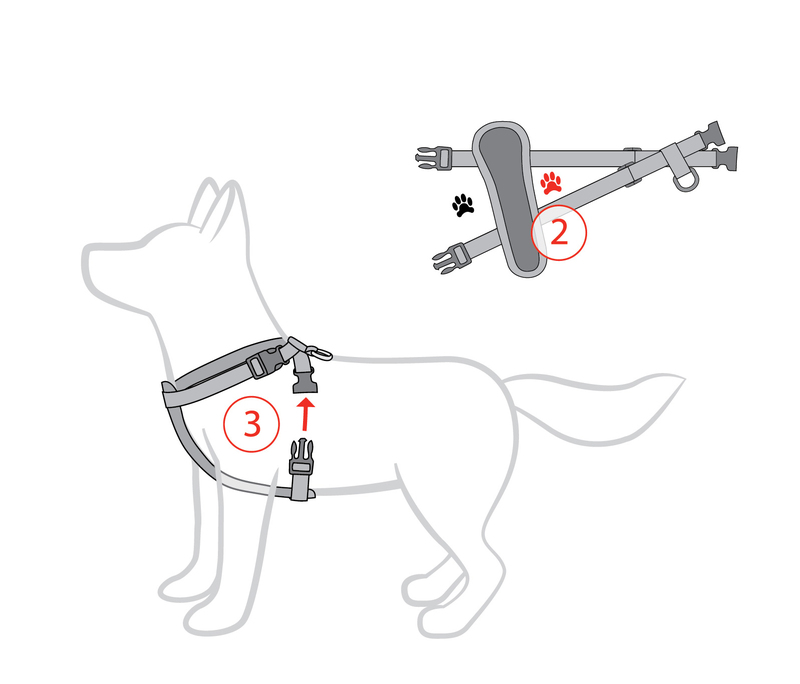 Very pleased with both these harnesses like all the products we've purchased from ezydog. " "Fits like a glove! Very high quality product, I received lots of recommendations for this harness and it did not dissapoint. So comfortable and easy to control my crazy Staffy on walks!" Great product- will last a life time! "Great product with great material! Sturdy and trendy all in one- only the best for my dogs! " "Good quality product and we are pleased with our purchase." "I love Ezydog products, well made and look cool." "Got a small chest plate harness fot our 11 week old english cocker spaniel and we love it. Orginally had a cheaper one but felt like she wasn't secure and that it fit odd. In the ezydog harness shes definitely secure and completely comfortable and 2 clips makes it easy to put on and off and is full adjustable . A small will also most likely last us until the end of the year when we will need to change to a medium. It is definitely worth getting a quality harness for your dog and the ease of mind she cant pull out of it "
"Love these harnesses. The purple looks amazing. "